New Haven Farm Home has a Board of five Directors. All our Directors are members of New Haven Farm Home Ltd. Each member undertakes their extensive role on a volunteer basis, and all have a professional background in management, finance, law, engineering, accounting, education and health. The members of the Board are elected by the membership at the Organisations’ Annual General Meeting held in October, each year. Our Board has seen through the transitional program and are now at its final stage of implementation. The current Board has been working very hard on our Strategic Plan 2016 -2018, and in particular our readiness for the NDIS. 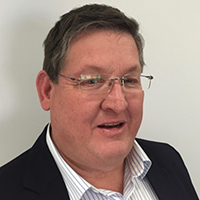 Warren Chalker is a Chartered Accountant with more than 30 years’ experience in the industry. He lives locally in the Hawkesbury district. Warren’s philosophy is, where a person is able to, he or she should contribute to society, and this is why he joined the Board of New Haven Farm Home. Warren is particularly proud of having been involved with the re-development of New Haven Farm Home and the ongoing implementation of the NDIS. Warren has an excellent knowledge of the local district and has a great capacity to use his expertise and skills within a Charity setting . He has a great capacity to consider issues on their merits, and use his skills to approach them laterally and to view any obstacle as a challenge. In addition to his Directorship at New Haven Farm home, Warren is also a Director of the Australiana Pioneer Village, at Wilberforce, and the Hawkesbury Race Club Limited. Warren loves watching and, on occasion, participating in sporting activities. He has a particular interest in cricket, rugby league, and horse racing. Matthew has tertiary qualifications as a Registered Nurse and has comprehensive experience in Anaesthetic/Paediatric Special Care Nursing through his employment at the Children’s Hospital at Westmead & Royal North Shore Hospital. Matthew has since worked for and enjoyed success at a number of companies, most notably GE Healthcare selling their range of Maternal Infant Care (MIC) & Anaesthetic products as a direct employee of GE Healthcare. Matthew was promoted to National Sales Manager of the Oximetry, Supplies and Accessories business during his tenure at GE. Matthew has also sold GE’s product range as a distribution agent. 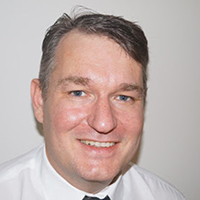 Matthew has worked in high level management roles in Sandoz (Novartis) and Business Development at Hartmann Australia. Matthew started LSR Healthcare in 2011 and imports and sells products in the Anaesthesia & Maternal Infant Care field. Matthew is father to 3 children and loves to play the guitar. Mr. Ian Graham has been associated with New Haven Farm for 54 years. Ian’s association with the farm came about due to his brother being one of the earliest residents at New Haven Farm Home. He has been a member of the Board for 24 years, serving as Chairman for 11 of these years. Ian is now retired, having worked for EBSRAY Pumps for 43 years. EBSRAY is a specialist designer and manufacturer of Industrial pumping equipment, which has a strong focus on the local and export markets. 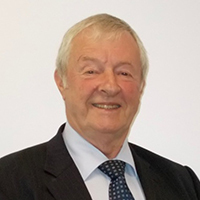 Ian held various positions in sales and marketing during his time with EBSRAY, where he served as a Director for 29 years. EBSRAY was purchased by “The Dover Corporation”, a large American Engineering group, who he also worked for a time, as per the buyout agreement. 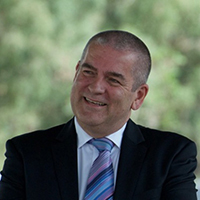 Ian holds qualifications in Mechanical Engineering and has a Diploma in Export Marketing. Ian is a keen skier and bush walker and is also a Board member of Trissana Ski Lodge and the Roseville Returned Serviceman’s Memorial Club. Former Mayor of Hawkesbury Kim has always been a keen and active community member.Kim has lived in the Hawkesbury for over 45 years. He is a drycleaner and educator. Kim has extensive contact with charitable organisations and service providers throughout the Hawkesbury and Greater Western Sydney region. He was Mayor of Hawkesbury for five years and retired from council in 2016. Kim is married, lives in Yarramundi and has four children and three grandchildren. His Drycleaning business is in Richmond. He has a passion for tennis, baseball, politics and History. Christine has broad-based business knowledge and capability, including both strategic and operational experience in business and marketing disciplines with extensive experience as an innovative customer, brand and marketing strategist for corporate, government and not-for-profit enterprises. During her career she has developed business retention and growth strategies while working in industries affected by dynamic market change, including digital disruption and government deregulation. 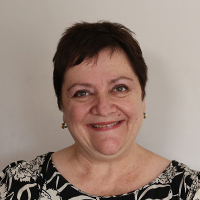 The last eight years she has focussed her attention on the aged care industry and currently works with LASA the national peak body representing and supporting providers of age services. In addition to her role as Director New Haven Farm Home, Christine has board/executive committee experience formerly as Owner/Director for Jones Davis BBN Pty Ltd and currently as President then Vice President for Riverside Girls High School P&C. Christine holds a masters degree in Marketing/Innovation & Strategy from University of Sydney and membership of the Australian Institute of Company Directors (AICD) and Women on Boards (WOB). A lover of the arts Christine is interested in natural health, improved educational outcomes, innovation and social change. Jacques is New Haven Farm Home’s Chief Executive Officer and the Executive Director on our board. He commenced his role in December 2014, and since commencement, his main focus of attention has been on the redevelopment of our Service. In this process his efforts have been on the physical and structural redevelopment, but also, the administrative changes, the organisational transformation and the cultural adjustments, necessary to adapt to the new environment initiated by the introduction of the NDIS. 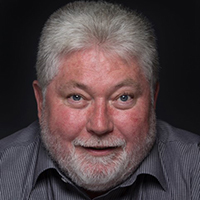 Together with the Board and Management Team he is working to have a leading-edge, state of the art service, which provides high quality services to people with disabilities living in the Hawkesbury and Blue Mountains District.